Professor Eric M. Freedman, Maurice A. Deane Distinguished Professor of Constitutional Law, gave a presentation to The New Hampshire Supreme Court Historical Society on Wednesday, December 17th in the U.S. Supreme Court Justice David H. Souter Judicial Conference Room at the New Hampshire Supreme Court in Concord. Professor Freedman’s presentation entitled “From Stewartstown to Guantanamo and Beyond” discussed his work on habeas corpus in the New Hampshire State Archives and discussed the relevance of his project for short, medium and long-term issues in constitutional law. 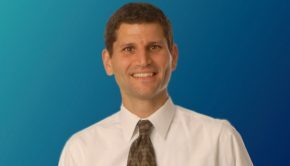 Professor Freedman is the reporter for the ABA’s Guidelines for the Appointment and Performance of Defense Counsel in Capital Cases, which were released at a conference at the Law School in 2003, and the author of “Habeas Corpus: Rethinking the Great Writ of Liberty,”published by New York University Press. Professor Freedman also serves as a member of the American Law Institute, a fellow of the American Bar Foundation, and a director of and counsel to the National Coalition Against Censorship.